Considered lost in the early 1800's. the White Tiger System remains one of the most secretive, mysterious, and powerful systems in the world today. White Tiger Kung Fu (or "Bak Fu Pai" in Cantonese) is an internal martial arts system that originated in Southern China. Also known as "The Emperor's Art," Bak Fu Pai is a "complete" martial arts system that contains a series of forms, exercises, meditations, herbal knowledge, and much, much more. This system has been a closely guarded secret of the Doo family that has been meticulously preserved and passed down through the family since the 1600's. The Doo family served as the right hand to Chinese emperors and their security force advised, healed, and protected six generations of emperors during feudal times. They were responsible for both the emperor's physical safety as well as his health and well-being. Through his ancestors that have shared the system with him, our school’s (and the system’s) Grandmaster, Grandmaster Doo Wai, provides a direct lineage to this rare, powerful martial art. 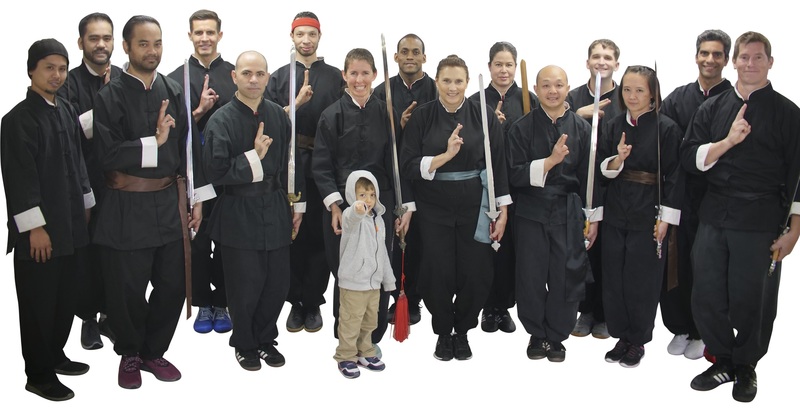 Our Grandmaster has generously made the entire system available to the public, and our Kung Fu school in Miramar and its instructors are the only authorized providers of White Tiger Kung Fu in San Diego county. With a proven lineage of over 400 years and direct ties to the traditions of the time, there really is nothing else like it in the world, let alone right here in San Diego. Respect your Country. Respect your Sifu. Respect all martial arts. Learn righteous. Learn magnanimous. Learn Kung Fu. If you are able to accomplish the Art be humble. A master of the Art does not abuse his knowledge by using it wrongfully. If a person is not a righteous person, he must not be taught, even if he offers you 10,000 ounces of gold. If a person is not a relative and is righteous, they shall be taught. If you are able to learn the White Tiger fist and staff, though it may look like a useless rock, treat it as a brick of gold. Loose translation from Fung Do Duk, 1644 A.D.